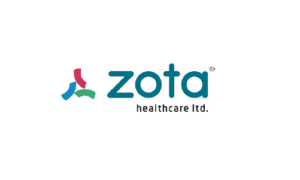 Zota Health Care Ltd (ZHCL) started operations in 2000 and is a fast growing pharmaceutical company with a portfolio of formulations including Nutraceuticals and Ayurvedic offerings that are available in many Asian, African, Latin American and CIS countries in addition to India. Over the years, the company has built a steady position with a consistent growth of revenue in domestic operations from INR32 crore in 2012 to INR58 crore in 2016. ZHCL has currently applied for patent for 19 unique formulations from which it has been granted approvals for 6 formulations. The company is actively expanding its presence in the digital space with the launch of its mobile application for its Nutravedic division. Additionally, it has acquired marketing rights of Astra-Idl Ltd, for three years to strengthen its position in the generic market segment. Zota has an impressive product line that boasts of products in the form of Tablets, Capsules, Oral Liquids, Dry Powders, Injectable, Oral Liquid Sprays, Ointments, Creams, Lotions, Medicated Soaps, Eye / Ear / Nasal Drops, Ayurvedic Products, Tooth Gels, Mouth Wash, Gum Paint, Shampoos, Prefilled Syringes, Nutraceuticals, Cosmetics with 21 divisions offering products under various categories and sub categories. Zota Health Care IPO allotment status is now available on Satellite Corporate Services' website. Click on this link to get allotment status. Zota healthcare GMP KYA HE??? how to sell share if we selected for allotment ? if there is no any buyer who want to buy zota then how to sell our shate ??? Please be very careful while investing in any SME IPO. Dont get exited by just seeing listing price or subject to allotment amount as it may be a trap for investors. Promoter costing is less than 0.10 paisa per share and offering shares to public at Rs 125/share. Lot of money is spent on advertisement in CNBC, Divyabhaskar and also outdoor hoardings. Due to this type of marketing, retail subscription would be more than 10 times. As it’s momentum in market all offerings are getting better listing but this is not only parameter. May get some listing gain but not that encouraging. Probability of losing money is equal to listing gain profit. Therefore one should avoid applying in this IPO. Agarwalji, Sunday Ko market nahi khulta hai. Lagta hai AAP miss kar rahe ho. Can we sell it on listing day. SME IPOs need to keep their prices reasonable as risk is very high in them. This one is expensive at PE of more than 30. How many % will it gain if we keep it for 4-5 days after listing?